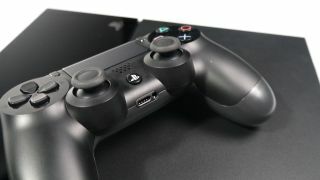 It's likely that any PlayStation gamer reading this will be aware of the PlayStation Network outage that took place over Christmas, due to a DDoS attack from "hacker group" Lizard Squad. The service is now running again smoothly, but to apologise for the downtime Sony has promised a couple of freebies to PlayStation users, as outlined in a blog post. Anyone who had an active PlayStation Plus subscription or free trial on December 25 will have their subscription extended by five days, to be added at a later date. If a customer's account expires before it's applied then they'll be offered a five-day PlayStation Plus membership. On top of that, Sony will be giving all PSN members a 10% discount token to be used on any PlayStation Store purchase, which will appear some time later this month. It's worth highlighting that this will be for the total cart purchase, so you'd be wise to grab yourself a few goodies. Xbox Live suffered a similar outage on Christmas day. Lizard Squad have used the attacks as a marketing scheme for a piece of software called LizardStresser, which lets anybody carry out their own DDoS attacks.